Fridays on the Fly | Drink Beer. Tie Flies. Socialize. Southeast breweries are popping up left and right, and we aren’t upset about it. 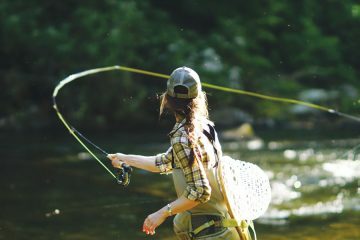 So, a few of us fisher-people decided we’d come up with a way to get people together, learn about fly tying, and drink some awesome locally brewed beer. Every Tuesday throughout winter Headwaters Outfitters and Flymen Fishing Company host a tying night at Brevard Brewing Company located in downtown Brevard, N.C. at 7:00pm. This free tying night allows beginners and experts to come have a few beers, socialize, and learn a thing or two about tying flies. We offer all of the materials and can provide additional vises for folks just getting into the sport. We have “open tie” nights when we all come up with our best tie or we have “instructor” nights where we’ve got a designated fly that we’re all learning how to tie. All ages are welcome. If you’re interested and have all of the stuff you need, come on down. If you’re interested and are in need of loaner vises or tools, shoot Jessica an e-mail at Jessica@headwatersoutfitters.com so we can bring some extra stuff along for you. Brevard isn’t the only place where you can go to a fly tying night. Every Tuesday of January and February Davidson River Outfitters hosts a tying night at Catawba Brewing Company off of Banks Avenue in Asheville, NC. This weekly social gathering starts at 6:30pm and is for all levels of tiers from beginners to experts. This is also a free shindig but a beer purchase is recommended to attend. For more information contact Jeb Hall at jeb@davidsonflyfishing.com or come check it out for yourself. This is something every fly shop and brewery could partner up and do. 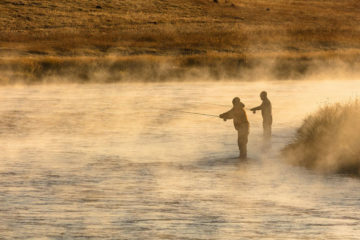 It’s an incredible way to bring new people into the sport of fly fishing by learning how to tie their own flies and bring folks into a local business during their slow winter months. We’ve had folks travel hours just to come to one of these nights because they aren’t offered in their own towns. It’s a simple idea that creates not only a following of newcomers to the sport, but an incredible social atmosphere where everyone is relaxed, eager to learn and enjoying life. We urge you to take the initiative to create something like this in your own town and continue spreading the love of fly fishing through education. And beer. Abbi Bagwell is the business operations manager for the Brevard, North Carolina-based Flymen Fishing Company. Follow her fly fishing adventures on Instagram and Youtube.